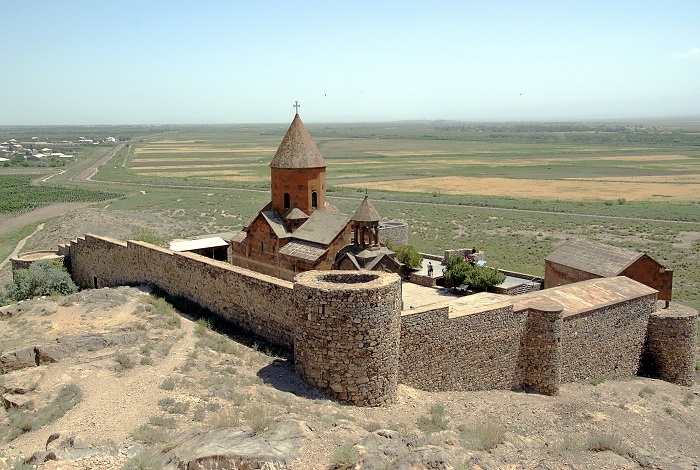 The Khor Virap is a very old monastery that is located on the Ararat plain within the Ararat Province of the Republic of Armenia. 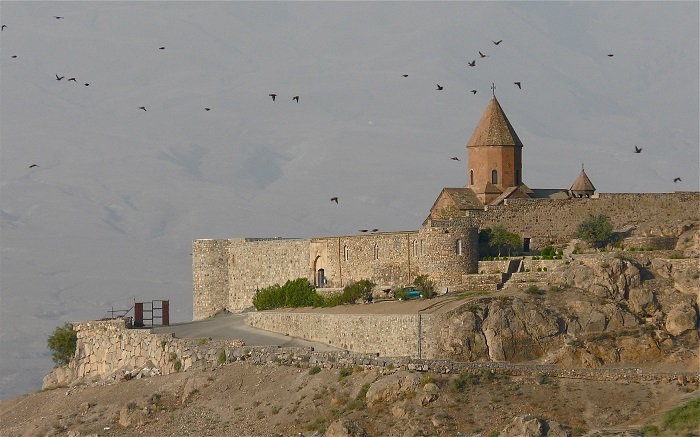 As it is in the vicinity of the border with Turkey, great importance is given to the religious object, since it is believed that Gregory the Illuminator, the patron saint and first official head of the Armenian Apostolic Church, was initially imprisoned by King Tiridates III of Armenia for 14 years. 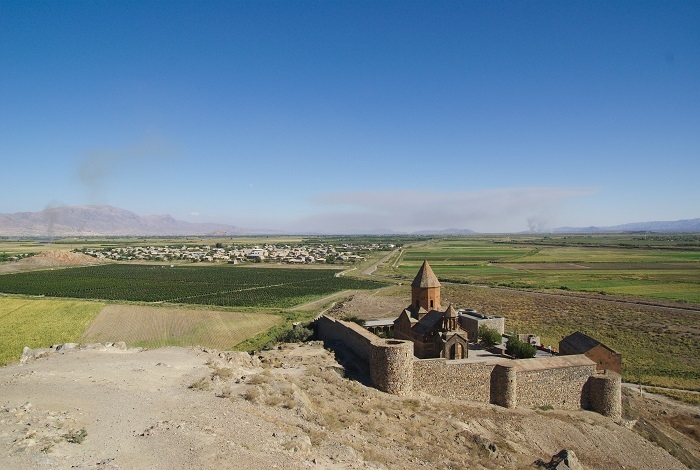 Located on a hillock overlooking the border fence of the two countries, Khor Virap is surrounded also by green pasture lands and vineyards and this important shrine is protected by Russian military establishments. 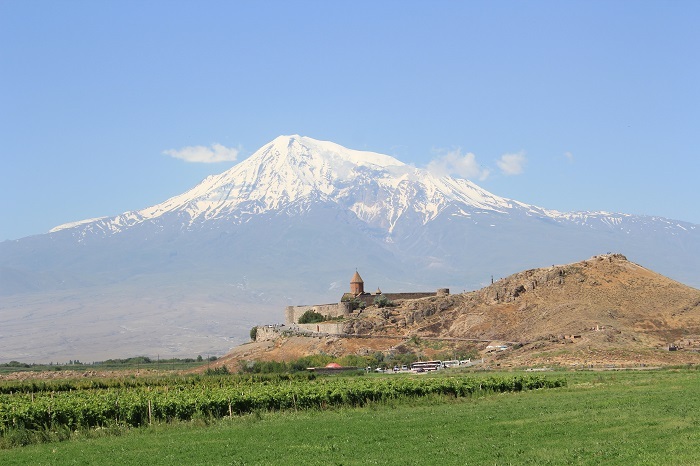 The fortified site has been a pilgrimage destination for centuries, where nowadays, every person visiting this small nation in the Caucasus is going to the monastery. 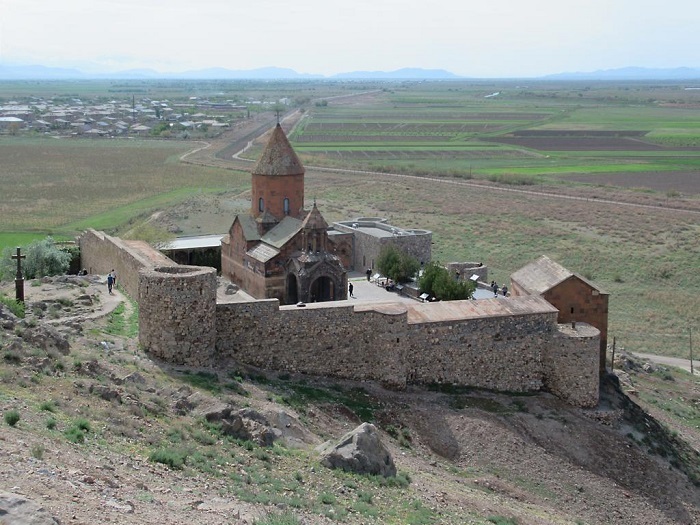 The Armenians are proudly telling the tale of how Saint Gregory in 301 successfully cured the king who imprisoned him to this small place. 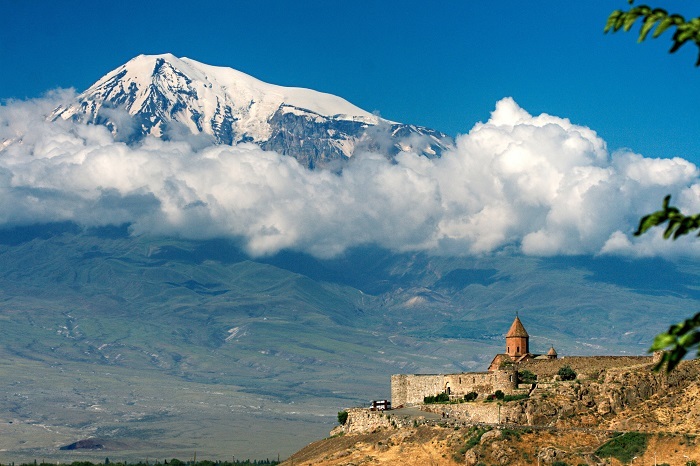 After this, King Tiridates III of Armenia converted to Christianity which in turn converted Armenia into the first officially Christian nation in the world. 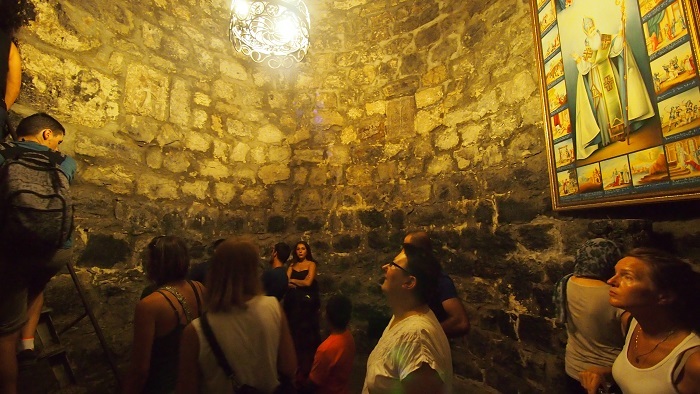 Even today people can visit the underground chamber where the patron saint of the country was imprisoned which is greatly considered to be a holy site. 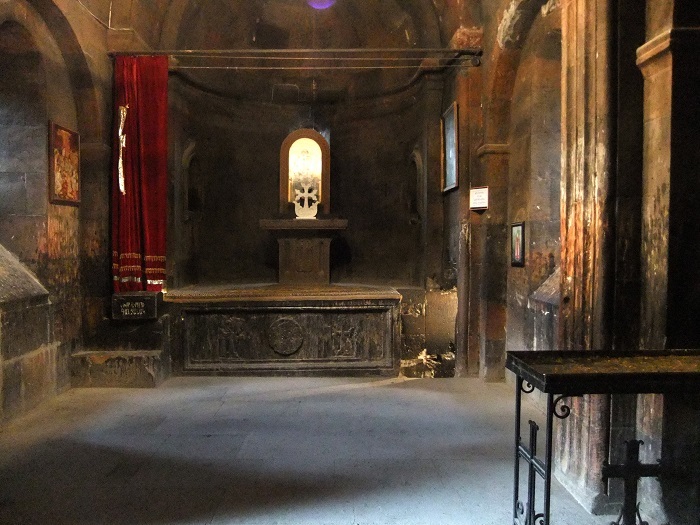 At the beginning of the development for a better monsateric sanctuary, a chapel was initially built in 642 by Nerses III the Builder, as a mark of veneration to Saint Gregory which has been repeatedly rebuilt ever since. 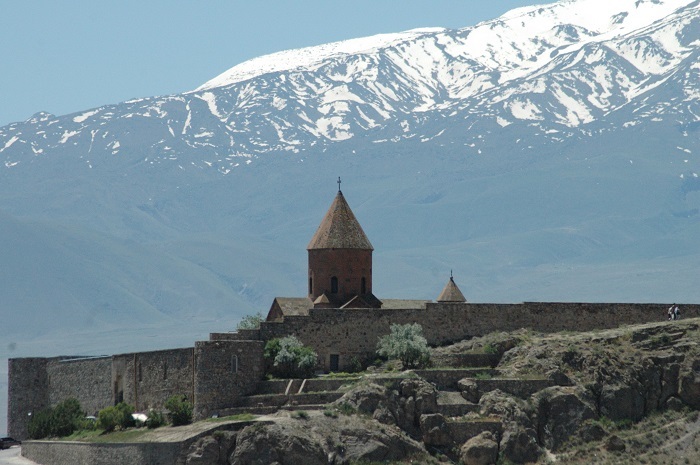 Nowadays, there is the iconic church Saint Astvatsatsin, also known as Holy Mother of God, which was built in 1662 around the ruins of the old chapel, the monastery, the refectory and the cells of the monks. 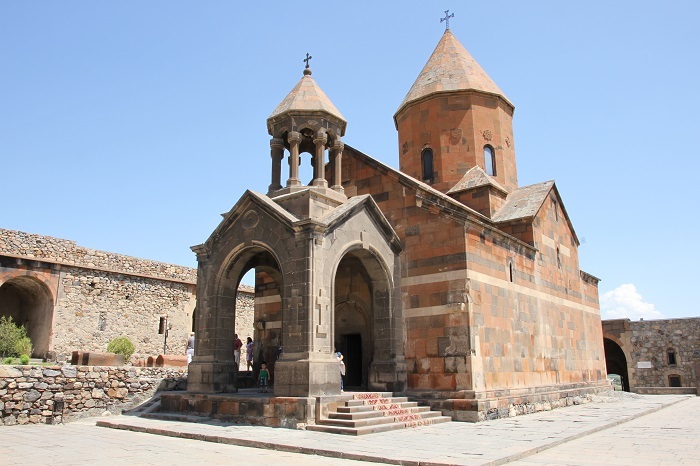 The church itself follows the typical and very traditional design of Armenian churches, nonetheless, it lacks of virtually any decorative carving or elements. The church has a twelve sided tholobate, which in translation means the upright part of a building on which a dome is raised. Still, the most important and most sacred part is the pit where Saint Gregory was imprisoned. Located to the southwest of the main church where a small basilica replete with a semicircular apse can be found, there are actually two pits. 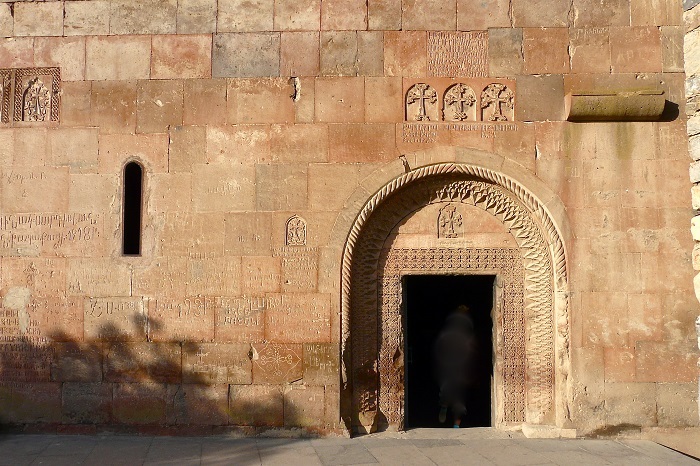 The one in which the great Armenian patron was imprisoned is 6 meters (20 feet) deep and 4 meters (14 feet) wide, approachable through two unmarked holes. 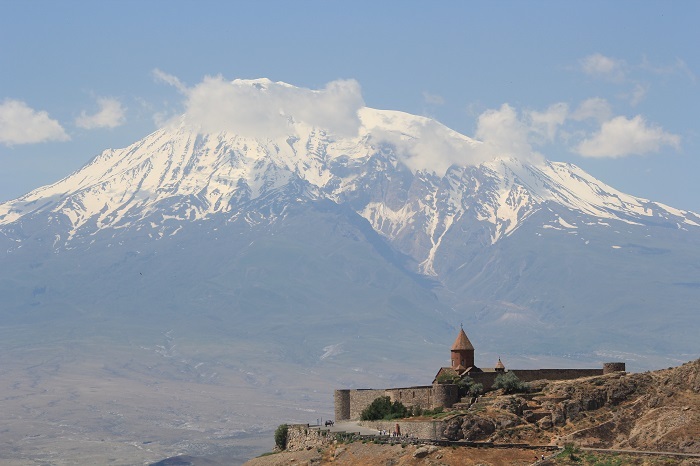 All in all, being a popular tourist attraction to which it is really easy to get to, Khor Virap shall continue to be a holy site of the Armenian Apostolic Church and an important pilgrimage location where the local population is getting baptized or married, complemented with the spectacular view of Mount Ararat.